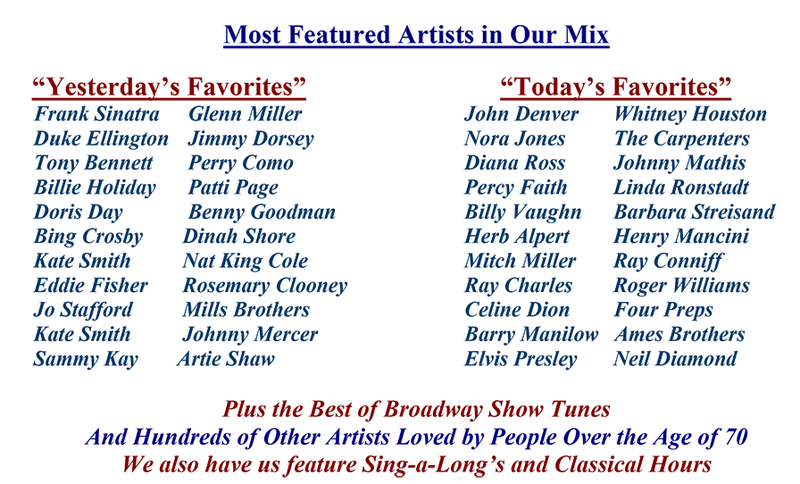 Senior Music Favorite Artists – we play the music seniors want to listen to – every generation has their favorite artists – it is the soundtrack to our lives – we have done extensive research and testing so we understand what they want and deliver it directly to their room. The difference between what we provide is we have the experience, research and knowledge so we know we deliver exactly what they want to listen to. Your residents will enjoy the messages and have told us they feel like someone in the community is keeping them company. The researched music we play for each community differs slightly. It is tailored to the demographics of that community.